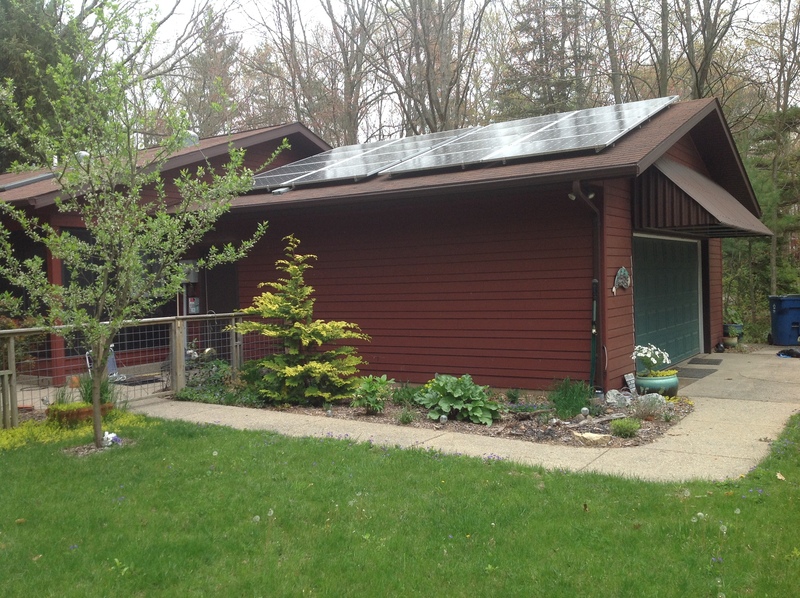 Laurie approached the GreenHome Institute in 2013 seeking a way to certify a small home renovation and addition project through the LEED for Homes certification system. 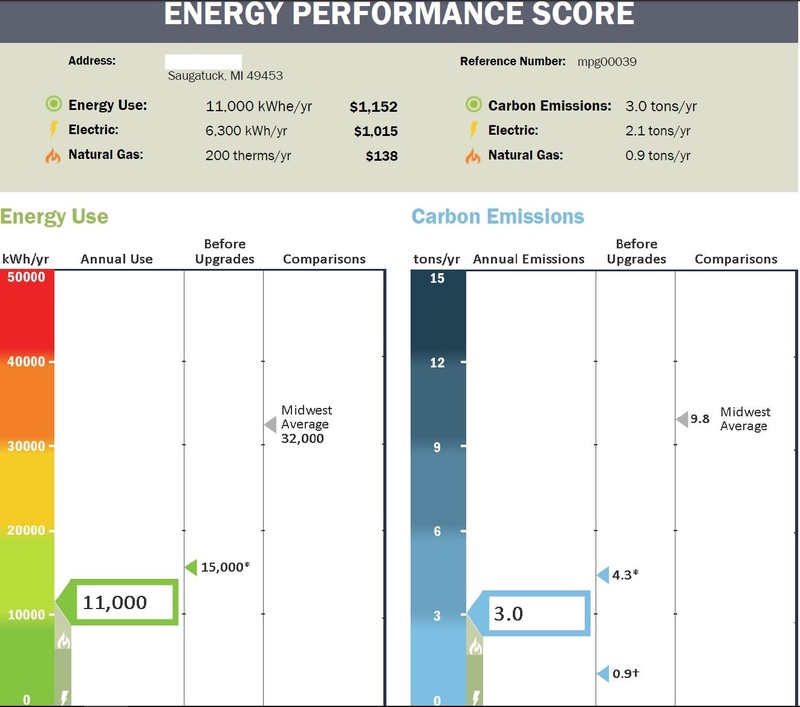 We quickly recognized that while LEED is a great tool it does have barriers to green certification for existing home project’s not planning a full gut renovation but that still plan to bring a code up beyond code in regards to health, energy and water conversation. 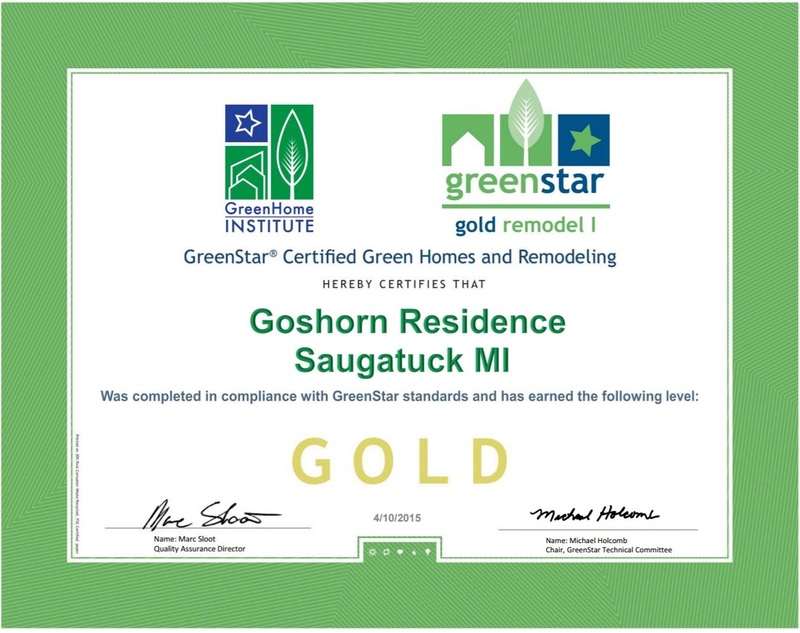 As such GHI was further inspired to pursue our goal of helping existing homeowners who do not fit the qualification of LEED and Laurie was key to helping us expand GreenStar Homes Certification program. Not many homeowners drive their own construction project but Laure lead the way and we were very excited to work with her. She shares her story with us below. 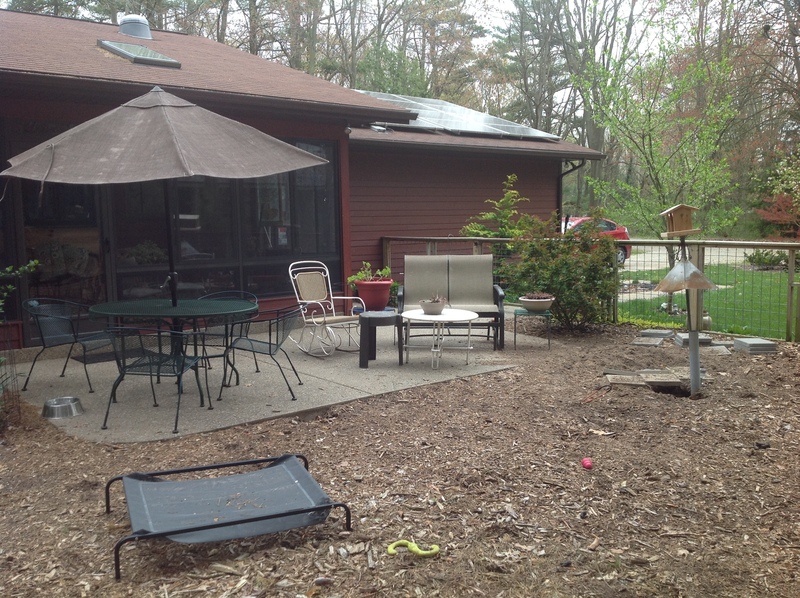 A total remodel project, I had the opportunity to install geothermal heating and cooling, a tankless water heater, mostly edible landscaping, solar panels, lots of insulation and replacement windows, solar tubes and skylights. I took out walls for increased ventilation and vista, installed a high efficiency insert in my fireplace, used Habitat Restore purchased cabinets to remodel my kitchen while replacing gas for induction cooking so as to reduce the use of fracked materials. I designed highly effective and attractive indirect lighting for my dining and living rooms which softly illuminate the area without individual bulbs or cords to trip over. While turning the best room in the house from a 3 to a 4 season room, I used residual heat from the geothermal system to run radiant heat under the tile floor. I collect water from the back portion of my roof, and I flush with it and water my garden with it. Be involved in researching and purchasing materials, don’t give the builder too broad a description, such as “bamboo flooring. All materials come in vastly differing levels of quality. Be informed about the extent of and the latest version of the technology. Had I known that I could use geothermal more extensively, I would have included it in the original design instead of a retrofit. Find a builder who not only does craftsmanship to your own standards but who agrees with your ethics, sensitivities, and penchant for living green. Depends, to me it was all a fun and new challenge. I like to be creative in coming up with adaptive re-use of cabinetry, recycled items, and found items. I love the hunt for resale items and prefer to furnish and decorate that way. Brett Little at Green Home Institute was a great support and source if information. Leo Valone of Green Fit Homes performed an Energy Audit and helped me improve upon insulation in numerous areas that the contractors missed. Be sure to only work with people who listen, and respond to ou with respect, willingness and professionalism, and avoid the know it all’s. Calvin Hobbs of Hobbs Heating and Cooling did a great job with the Geothermal. Be sure to seal your rim joists. I had outside light coming in a hole where the contractors removed the cable from the old AC unit and neglected to seal shut. The energy audit also showed me where additional foam insulation was needed to successfully heat the 3 to 4 season room. I love my Geothermal system. Using the ductwork from the defunct furnace, the heat pump provides plenty of heat, and air conditioning to keep my home comfortable. 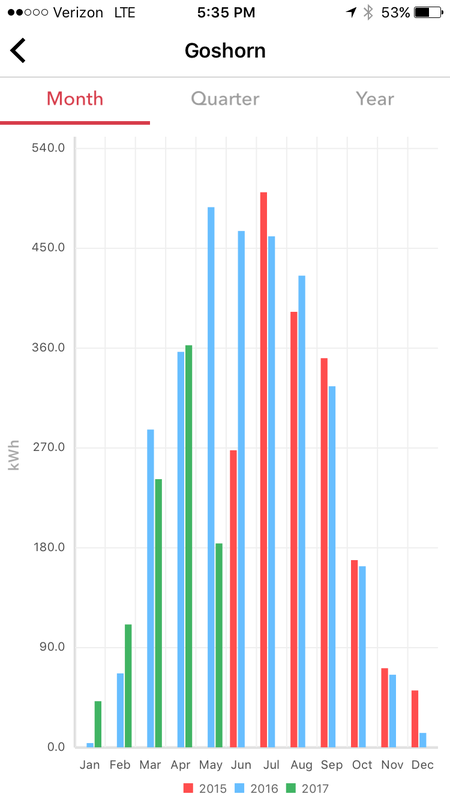 I have an excess of energy in the summer and have not figured out a way to utilize it. Suggestions are welcome! The trenching for the closed loop system successfully avoided damaging the forest of trees on my property, and I couldn’t tell that it had been done at all, no mess. The usual low-flow toilets and shower heads, turning off water if not being used immediately. I collect rainwater to flush with, I collect water for plants while waiting for hot water to arrive, and I put a bucket in the shower with me and use that water for laundry which is in the same room. I chose Hardee backer siding which is durable, low maintenance and attractive. I wanted a tough, low maintenance flooring, and unfortunately, the bamboo selected for my floor is not the same quality I have observed meeting those qualifications in other’s homes. 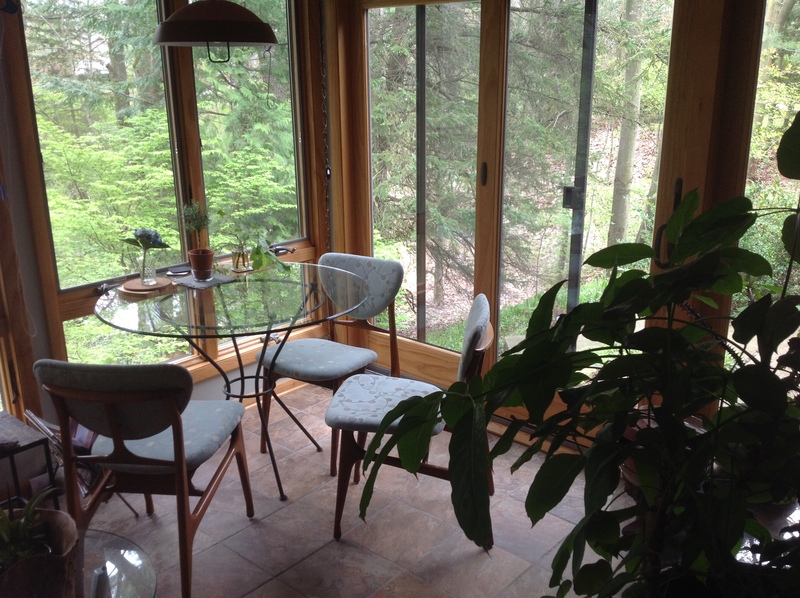 I chose good quality Windows that looked and functioned well, and long lasting. Using well maintained, recycled materials proves they have the longevity and cost advantage. I took a dark, chopped up, low to no insulation home and created an airy openness, passive lighting sources which successfully illuminate indoors during the day, and a pleasant way to enjoy a fire in the fireplace without losing all the heat up the chimney. My dogs bring in sand and dust, but the joy out ways the problem. My home is located in a wooded area, and it has a winding stream in front. Every direction is beautiful but many of the vistas are not accessible all the time but must be approached in order to enjoy. That way, I think, the views never get old. I usually select a project a year so things get done without being too overwhelming or too delayed. I love the process of problem-solving or coming up with creative solutions while working or deciding on the next project. Each step pays close attention to the goal of greater conservation and sensitivity to the environment. Bathfans and hood range vented outside the house.